Come on baby. maybe baby face. B-Project Summer Live2018 "Eternal Pacific"
S-Kyuu Paradise by B-PROJECT (キタコレ、THRIVE、MooNs、KiLLER KiNG) Tracklist (S-Kyuu Paradise WHITE) : 01. 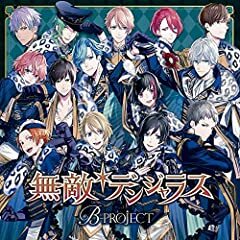 S級パラダイス / B-PROJECT【新曲】 02.